Anytime you go for a vacation, know what you are going to do when you get there makes the difference between time well spent and missed opportunities. That is because your time is limited and there are things you should just skip because you can find them elsewhere. Moreover, there are others that you can only find in your chosen destination, and those should be your target. 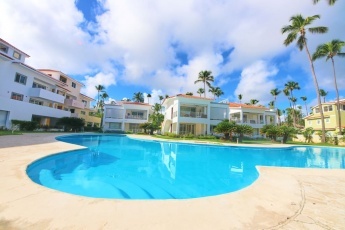 With that in mind, let us find out some of the best Punta Cana activities you can enjoy only there. The Punta Cana beach is one of the longest Caribbean beaches in the world, stretching a whole 62 miles or 100 kilometers. The winds around this beach are mild and their ocean waters are mostly shallow. 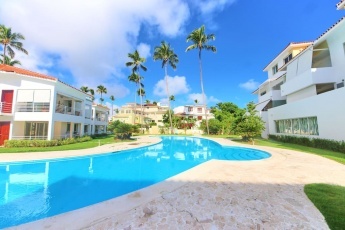 Thus, that makes it among the best places in Punta Cana to relax and just have a good time. Here you can find different Punta Cana activities: from sunbathing to surfing. It does not get too hot thanks to the mild winds and neither does it get cold thanks to the beach’s closeness to the equator. 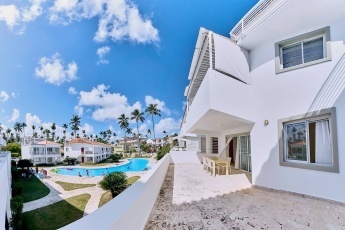 As you walk from south to north of The Beach, some of the main beaches that you will encounter are: Juanillo, Cabo Engaño, Punta Cana, Playa Blanca, Cabeza de Toro, Las Corales, El Cortecito, Bávaro, Arena Gorda, Macao, Uvero Alto. The first three beach sites are south of the cape and the rest are north of the cape. 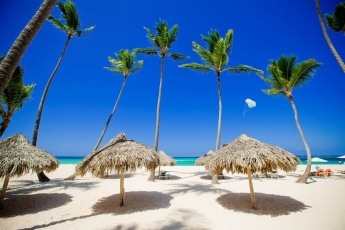 The closest city to the Punta Cana beach is Higuey, and it is over 500 years old. It is about 45 kilometers or 28 miles away. It will take you about an hour to get there by car. The Punta Cana is as beautiful under the water as it’s on land. The clear water surrounding this beach expose the beautiful coastal reef and marine life that is relies on the reef and mangrove forest. The abundant marine life in Punta Cana includes several fish species, lobster, sea turtles, sea lion, horses, parrots and conch. You may view them by diving during the day or at night, by through other leisure Punta Cana activities such as boating. Unlike most other beaches around the world where you are restricted to just relaxing on a hummock and swimming with dolphins, the clear waters of the Punta Cana beaches allow you to have a great time snorkeling or diving where the water is deep. The Punta Cana beach is surrounded by lush tropical forests that harbor hundreds of animal species in their natural habitat. These provide you with an opportunity to enjoy view these animals and even interact with some of them. For you, that will mean relaxing your mind by connecting with nature. It will help you to realize the joy of taking life simply in order to rest your body and mind. Animals species such as cockatoos, parrots, and iguanas will leave you mesmerized with their unique way of life. Most of us never consider a trip to an exotic place to be complete without hiking and getting close to the unique geographical landmarks or local environment. It could be a hike to an ancient building or colony, or a hike through the wilderness. Hiking also allows you to learn a little bit of local history of Punta Cana activities. If you are lucky, you also get to view virgin sites that include scenes such as waterfalls, caves, and gorges. Most importantly, you get to exercise your body and bond with your partner if you choose to trek. If aren’t feeling like walking, riding a horse is an excellent option because you get to get around at a slow pace and don’t get tired after just a few hours. Another option that you may find quite enticing is a quad bike through the forest, muddy roads, and onto the beach. The mildly rough ride and closeness to the wild experience you get make it feel like you are back in the 18 century again. Except that, you are the only one enjoying the motorized gift of industrialization. Going a day without food isn’t a pleasant experience, whether you are at home or away from home. It doesn’t matter how great the day was, you will finally want to quench your thirst with a cool drink… And surely take something tasty. That’s why meal times, wherever you are, happens to be one of the greatest Punta Cana activities you can get. Moreover, they can be even greater if you have a great chef to make it happen. Anyone can tell you that a good chef can turn a good meal into a great meal. In Punta Cana, there are several places where you are guaranteed of getting great chefs to be at your service. These chefs will offer you both local and well-known international cuisines to complete the diet needs of each guest. While some of us are early birds and prefer to start our day early with an awesome cup of coffee, other want to wake up late in the morning after a great evening that possibly ended in the wee hours of the night. You can’t stay up that late without getting bored if there aren’t great places to dance all night and possibly enjoy a limitless supply of tasty drinks. Thankfully, Punta Cana won’t disappoint you in that regard. Multiple discos and bars in Punta Cana will allow you to dance all night as you enjoy local and international drinks. Moreover, there are taxi services that allow you to retire to your hotel if you happen to have chosen a disco bar that is far from your hotel of choice. 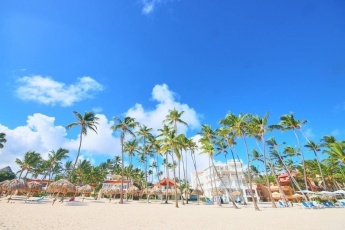 Overall, Punta Cana is a great place to enjoy life on the Caribbean beaches. There are many different Punta Cana activities for every taste. Whether you want to enjoy the tasty local delicacies prepared by skilled chefs, cocktail drinks, take hikes, go swimming along the beach, drive around at night or day, enjoy snorkeling in the clear waters, or visit the local natural parks, there are professionals who are willing to give you that service.